Dr. Boonsuk is now working as an English lecturer in the Department of Western Languages, Prince of Songkla University, Thailand. His research interest focuses on World Englishes, English as a lingua franca, English as an international language, English language teaching, language beliefs, attitudes, and identity. 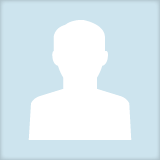 Yusop Boonsuk updated their profile information.